Media Mikes has teamed up with our friends at Fox Searchlight to give it’s Kansas City-area readers the chance to be among the first to see the highly anticipated film “Patti Cake$.” Called “an instant classic” by TIME magazine, the film tells the story of aspiring rapper Patricia Dombrowski, a.k.a. Killa P, a.k.a. 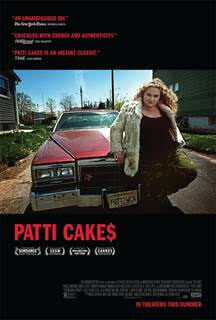 Patti Cake$, who is fighting an unlikely quest for glory in her downtrodden hometown in New Jersey. The film also earned raves at this year’s Sundance and Cannes Film Festivals. The screening will be held on Wednesday, August 23rd at the Cinemark Palace on the Plaza in Kansas City and will start at 7:00 pm. To obtain tickets to the screening, just go to here and click on the “GET MY PASS” tab. Passes are first come/first serve. Good luck! “Patti Cake$” opens nationally on Wednesday, August 30th.